One of our partners, Max Semenchuk was a speaker at the AraCon powered by Aragon foundation, the most popular bunkering conference devoted to the Distributed Governance and organizations. He always has a strong feeling that DAO and Distributed organization could change our lives significantly.We are proud to get work together and happy to see that he gets the recognition among the like-minded people. 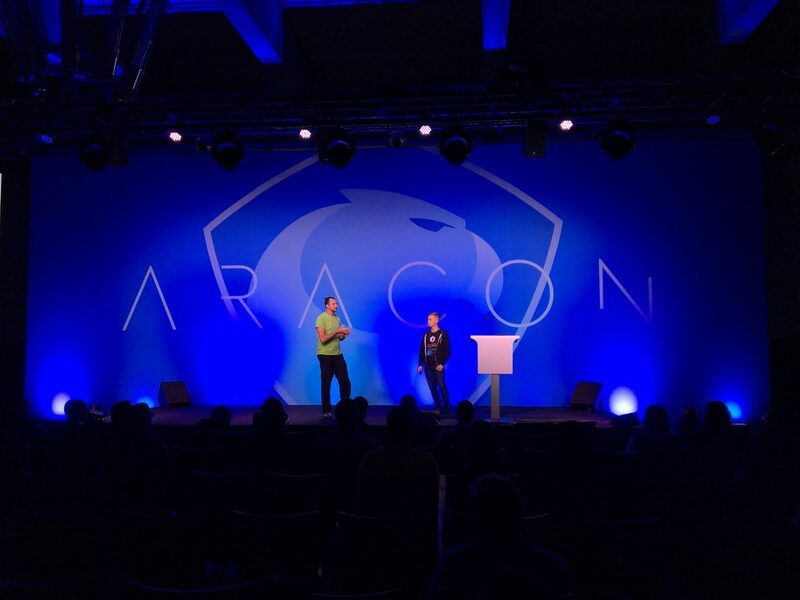 Just imagine, 500 attendees were at AraCon including the greatest invited speakers from Ethereum Foundation, Parity, Aragon DAC, GNOSIS, 0X and etc. Argon Next presented the open source project done by one of our lead Blockchain Engineers, Bohdan Malkevych called Tennagrapth - Ethereum Signal Aggregator. Aragon Nest is a grant program that sponsors the open source projects aimed to improve the Ethereum and Aragon ecosystem. The main problem that we tried to solve on Tennagraph is to build a fairly high source of truth in terms of recognized people and their skill sets in Ethereum network. A website in the community that we can trust - a fairly high source of truth in terms of recognized people and their skill sets. The main point is to get a website that curates signals of the high source of truth which can be used to get an overview of the overall community and its health. noise around key developments and decisions facing Ethereum.